Just 50km from the Mount Zero Olive grove in Western Victoria sits a vast salt lake with a striking pink hue. 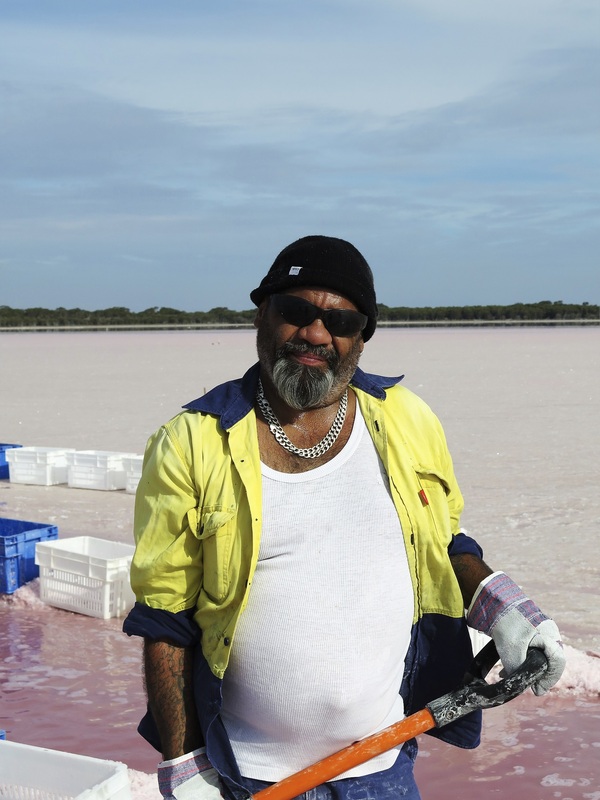 The lake is fed by natural salt aquifers and each summer dries out to reveal a bed of salmon coloured pink salt. Mount Zero and the Barengi Gadjin Land Council, representing the Wimmera's traditional land owners, hand harvest a small amount of salt from the lake each year in a respectful collaboration. Mount Zero Pink Lake Salt is a natural product which varies in pigment from wet to dry. The local provenance of the salt, along with the hand harvesting, natural sun drying and the salts beautiful flavour and colour are a mirror Mount Zero's core principles of regionalism, sustainability and quality. Through analysis of the salt we know that it is a concentrated store of natural mineral nutrients - rich in calcium, magnesium, phosphorus, sulphur, iron, manganese, zinc and copper as well as being rich in beta carotene. This complexity of minerals, provides a complex, well rounded flavour - dissimilar to many sharp tasting refined salts. Aboriginal mythology and its links to the land have existed for some 30,000 years. Our respect for this relationship with the land moved us to seek a partnership with the indigenous custodians in our region, The Barenji Gadjin Land Council. The partnership has developed into a business that is mutually beneficial for both the people and the land. Every year we harvest together, strengthening the respect and understanding between the non-indigenous and indigenous workers. The Barengi Gadjin Land Council give us access, instruction and consultation in ways to minimise our impact on the land, and we do our best to repay this gift through employment and payment. This enables the Land Council to direct their priorities to looking after their people and preserving their Aboriginal heritage. Aunty Nancy Harrison is a Wotjobaluk Elder. Her painting is titled ‘Bush Tukka’. Aunty Nancy draws inspiration from growing up with her family at Antwerp and Dimboola, and spending time out ‘on country’. 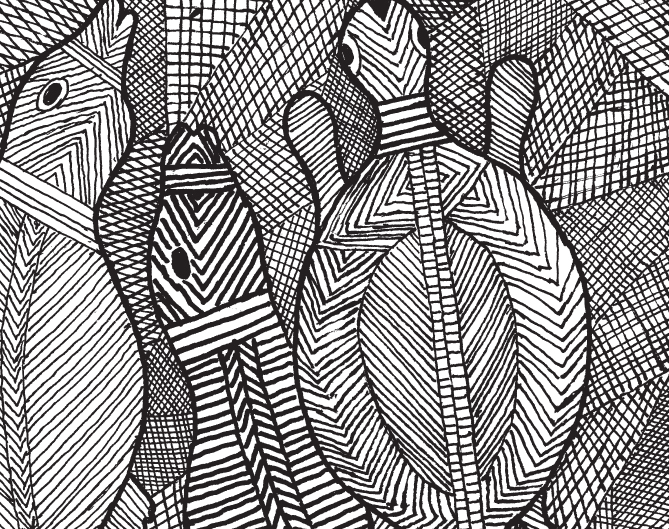 ‘Bush Tukka’ shows two fish and a turtle and it relates to the huge importance of the Wimmera River and the wetland systems. Fed by natural aquifers, Pink Lake is an intrinsic part of this ecology.